We offer specialized care that goes beyond surgery. 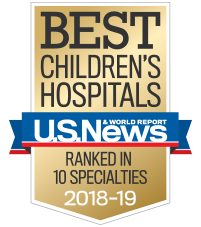 Our surgery team brings pediatric expertise and years of experience to every procedure, whether routine, rare or complex. If you have any questions, contact the presurgery phone nurse: 404-785-6712. Recent exposure: (mm/dd/yyyy) Enter date when symptoms first appeared. List previous dates of hospitalization(s) and reasons for the hospitalizations (include surgery) of your child. Date of originally scheduled surgery: (mm/dd/yyyy) Date required. Why was the surgery cancelled? Please give reason. Surgeon's name Surgeon's name is required. Type of procedure scheduled Type of procedure required. Was your child seen in our pre-anesthesia clinic prior to the cancelled surgical procedure? Yes No Please select. Important Information Needed on the Day of Your Child's Surgery: Please bring a list of the names and exact dosage of all medicine (including vitamins and herbal medicine) your child is currently taking with you on the day of surgery. This is very important so that we can prescribe the right medicine for your child after surgery. Medication Why is your child taking it? What medications does he/she take occasionally? Name: *Specialist name is required. Phone: *Specialist phone number is required. Weeks Early *Please specify how many weeks premature. Birth Weight *Please specify birth weight. Date of last menstrual period: (mm/dd/yyyy) *Date of last menstral period required (mm/dd/yyyy). If your child is 12 or older, or has started her menstrual cycle, we will need a urine specimen upon arrival to the surgery center. Type: *Chemotherapy type is required. If yes, when, who and relationship? Other: *What is your relationship to the child? DFAC Phone: *DFAC Phone is required. Any comments you have to share with us concerning your child? Other Transportation *Please specify what kind of transportation will be used. You need to have arranged for transportation home prior to the day of surgery. (An Advance Directive is a legal way to make a decision about future medical care. A life threatening illness or injury can happen to anyone at any age. You can help control your care by recording your choices. The time to do this is before you are sick or injured). If your child already has an Advance Directive, please bring it with you on day of surgery. If you want more information, visit our Website and click on the link for Advance Directives. If you would like to speak with someone about Advance Directives, please call our Communication Nurse at 404-785-6712. One day before surgery, you will be contacted with arrival time and specific eating and drinking instructions for the day of your child's procedure.